Photo above: A digital rendering of the new research and education facility Mote Marine Laboratory plans to construct on Summerland Key, Fla.
Philanthropic donations for Mote Marine Laboratory’s new research and education facility in the Florida Keys have surpassed the $1.5 million mark with help from a new gift: a $325,000 donation from the Charles and Margery Barancik Foundation. Barancik Foundation representatives said they value the work Mote is doing at its existing property on Summerland Key, Fla., where the new facility will be built. The Barancik Foundation gift helped Mote to reach a major fundraising milestone that will allow the Lab to start the construction process during January 2016. The new building will more than double Mote’s research and education space in the Keys, allowing the Lab to expand programs focused on studying and restoring damaged coral reefs and on finding new ways to address global threats to reefs — particularly climate change and ocean acidification. The building will be LEED-certified, environmentally sustainable and perfectly suited to enhance Mote’s impact locally to internationally. The current facility plays a key role in global coral reef studies while hosting and supporting the work of approximately 150 scientists from over 60 different U.S. and international institutions, in addition to many of Mote’s 35 Ph.D. level researchers. 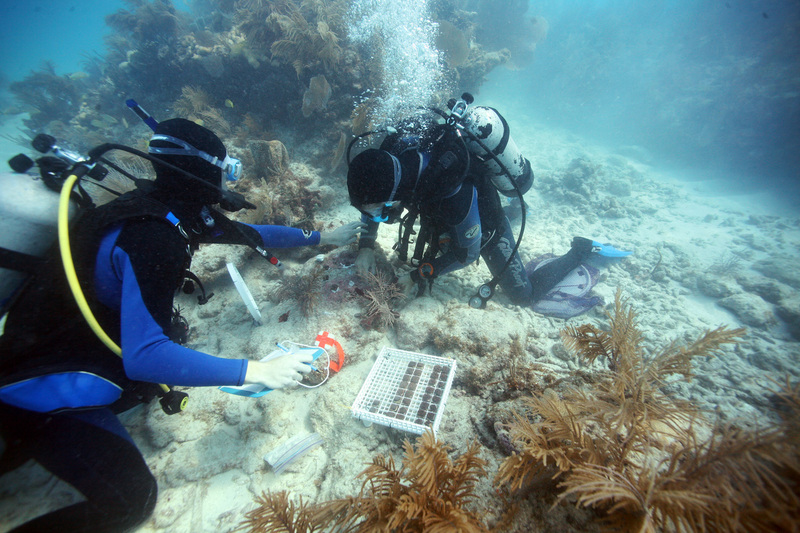 Today, researchers at Mote’s Summerland Key facility are growing thousands of coral fragments in nurseries and planting them onto depleted reefs in the wild, using naturally occurring genetic strains that are believed most likely to survive changing ocean conditions. Mote scientists developed a breakthrough coral “re-skinning” process to restore large areas of reef-building corals in just one-to-two years instead of the centuries it might take for natural reef recovery. This cutting-edge, re-skinning technology allows small fragments of brain, boulder and star corals to rapidly fuse and restore a living coral head over a dead coral skeleton. County — will include advanced technology laboratories; environmental control rooms; new seawater systems; ocean acidification research support infrastructure; experimental tanks and instrumentation to support diverse fields of marine science studies; and dormitories, offices, classrooms and meeting rooms with full communications connectivity. In late January 2016, two residential and office buildings on Mote’s Summerland property will be demolished, leaving the current science building and working lab fully operational throughout construction. Construction will ramp up during summer 2016, with the goal of opening the facility in early 2017. Once the new project is complete and fully operational, the old lab building will be demolished. 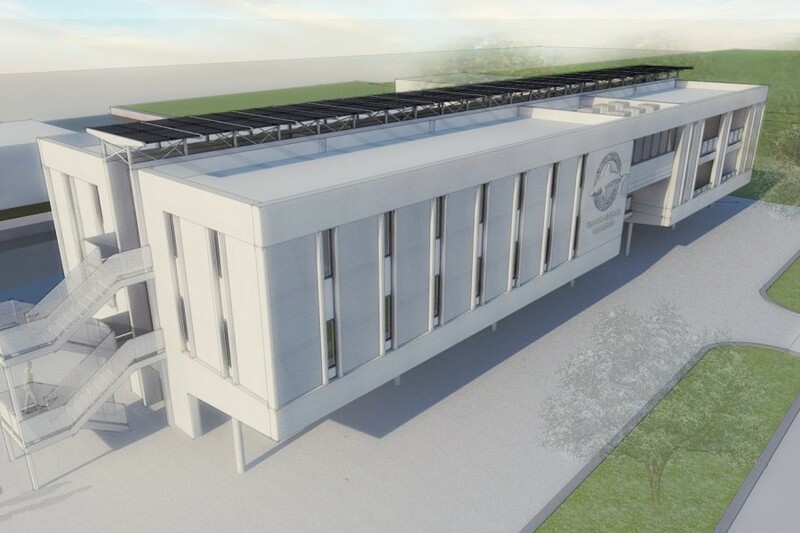 Building this enhanced facility is one of three major goals in Oceans of Opportunity: The Campaign for Mote Marine Laboratory — the ongoing, comprehensive fundraising campaign announced in early 2015. The campaign is also designed to support and expand Mote’s annual research and education operations while spurring long-term growth in the endowment for Mote’s future. To support Oceans of Opportunity, visit www.mote.org/oceanscampaign or contact Erin Knievel at 941-388-4441, ext. 415 or eknievel@mote.org. The Charles & Margery Barancik family has long believed in the power of philanthropy to shape our world and enrich the lives of all people. It was the expression of this belief that led them in 2014 to establish the Charles & Margery Barancik Foundation — a private, family foundation located in Sarasota, Fla. The Barancik Foundation creates initiatives and awards grants in Sarasota and beyond in the areas of arts and humanities, education and science, humanitarian causes, medical research and the environment. For further information, please contact Kelly Romanoff at kromanoff@barancikfoundation.org at 941-343-2912.